BTA Advisory Group offers comprehensive financial planning services to high net-worth families and individuals. This includes developing a plan as well as providing the tools and strategies to put that plan into action. Below are a summary of some of the tools we use, however we strongly encourage all visitors to call us at 877-282-4768 and set up a free consultation. This allows us to offer suggestions as to what the best options for your specific circumstances. Whether you are an individual, an employee, or a business owner, our firm is here to help you navigate through every stage of your life. 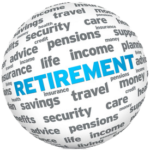 You may have an IRA, a 401(k), or need assistance with setting one up and our job is to help you to effectively plan for your retirement. Clients find that by partnering with us, the process is much more manageable. We offer 401(k) plan asset management, as well as assisting the individual with selecting the optimal portfolio that works with your retirement goals. Perhaps you are a recent high school or college graduate, or maybe you have incurred more debt that you had planned on. Whatever difficult place you may find yourself in financially, we are here for you. We excel at helping clients determine what kind of lifestyle they are trying to attain and making the steps to achieve their financial goals. You can even read articles that Guy has written to educate and help you identify what problem areas you may struggle with and how to combat them. 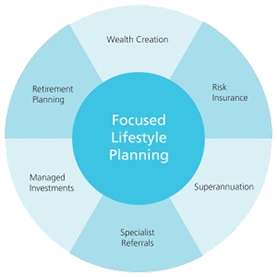 What assistance do you need with planning the lifestyle you have always dreamed of? Risk management consists of protecting yourself and your loved ones in lieu of life’s uncertainties. In common terms, this often equates to insurance. We help our clients with life insurance to protect families and estates in the case of death, disability insurance in case injury prevents you from working, and long-term care insurance to help pay for care once we grow older. There are many things that can threaten our wealth: taxes, fees, economic downturns, etc. Our wealth management tools and strategies are built to help curtail the effect of these things and promote the steady, long-term growth of your assets. 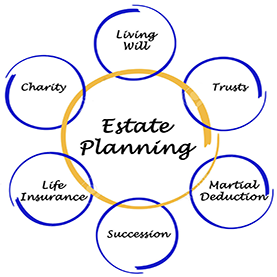 Using tools like Individuals Retirement Accounts (IRAs), brokerage accounts, trusts and wills, and other tools, we help our clients preserve their assets to use for retirement, legacy, or whatever other goals they may have. 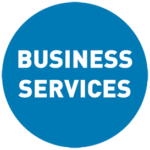 We work with many business owners to help them maximize their business’ efficiency. This includes employee benefits such as 401(k)s, employee education, and more. We also work with owners to implement executive compensation plans, business succession planning, and other tools to help them maximize the amount of money they can take out of their business and put into their pockets.